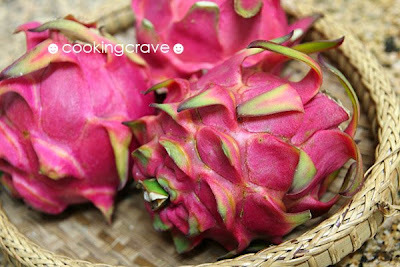 This is how the dragon fruit look like. Does it look like dragon?? 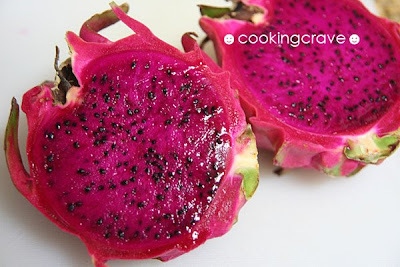 The dragon fruit is actually the fruit from a cactus plant and it has a bright red skin which can be peeled easily. There is the white flesh variety and the other being the red flesh variety. It is best eaten chilled but do take care with your clothing because due to its juiciness, the red coloured juice will stained our clothes. Wash & soak the jelly strips for 10 mins or more. Bring water to boil. 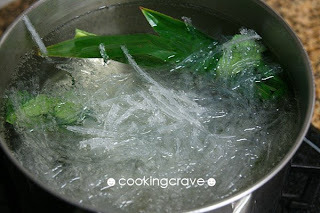 Add jelly strips, knotted pandan leaves and cook till it is fully dissolved. Add in sugar and cook till it is completely dissolved, turn off heat. 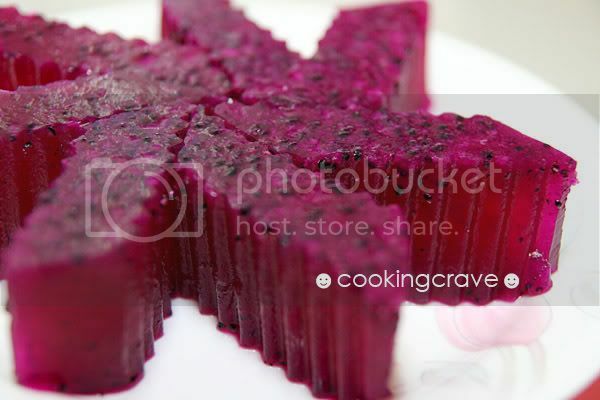 Stir in blended dragon fruit puree into the jelly mixture. Pour the mixture onto the jelly mould or 2 inch tray. Allow to cool down before chill it in the fridge. 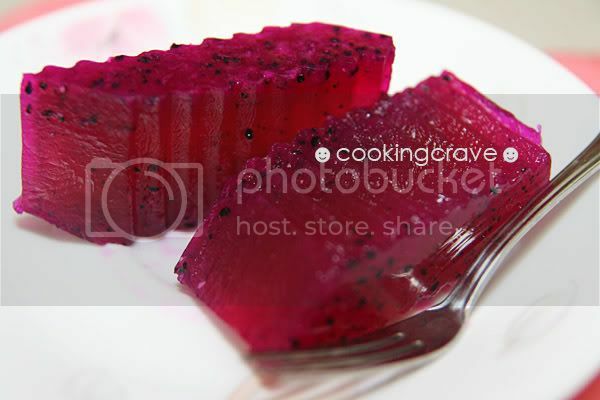 hei friend, I am a huge fan of jelly, you make me mouth watering ald.! !